✓ RELAX ZONE (60 ‘). Use of: the gel cabin, steam baths, sauna, whirlpool, Scottish shower. Villa Retiro Restaurant, leaded by chef Fran López is the only one in the Baix Ebre awarded with a Michelin Star and a Sol Repsol. A business lunch, a relaxed meeting to close a deal or simply enjoy a special moment in Terres de l’Ebre. A meal in good company at Restaurante Villa Retiro always knows best. Available from December 10 to 21. Wednesday to Saturday noon and night. Sundays at noon. Rice varieties Bomba, marisma and Reserva still have “taste and flavours of rice”. Rice is the heart of Terres de l’Ebre kitchen, and, of course, the star of this menu that changes colours, flavour and taste depending on the season. 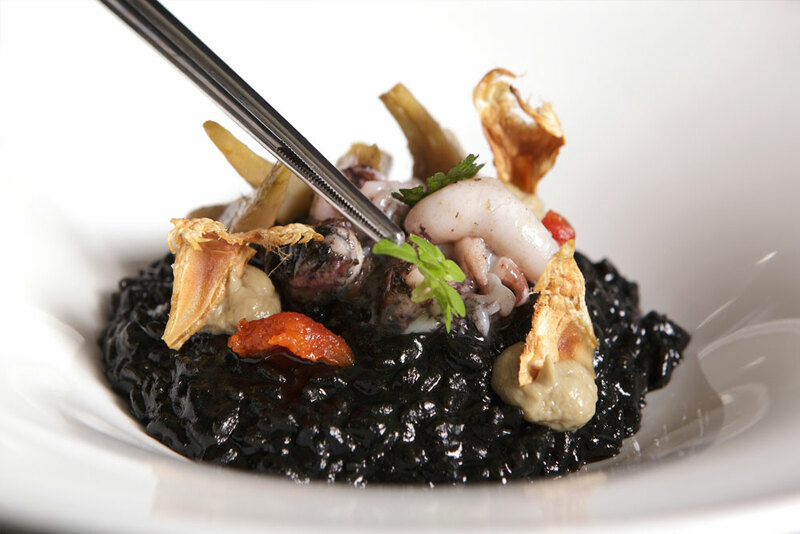 Rice varieties Bomba, Marisma, Reserve, have “taste and flavor to rice.” This ingredient is the heart of kitchen Terres de l’Ebre and, of course, is the protagonist of this menu, aroma and flavor depending on the time of year. 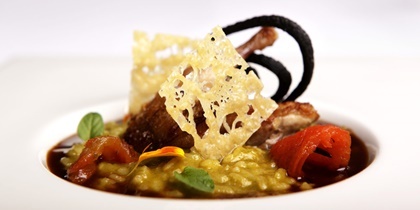 The tasting menu Restaurante Villa Retiro is the star of our cuisine menu. Seasonal products are the basis by which governs our chef, Fran Lopez. Following this principle, we have developed an exquisite menu created for the five senses. Los productos de temporada son la base por la cual se rige nuestra cocina, teniendo especial atención en el mercado de nuestras comarcas, elementos internacionales y técnicas culinarias que respetan la esencia de los mismos. 5-star luxury hotel and restaurant with 1 Michelin Star in Xerta (Tarragona), in a unique environment, built in 1890 and restored as a hotel since March 2006.